Welcome to Zumba Get Fit! Regardless of the day you may be having, once you step into any of our Zumba classes, your troubles will be left at the door when the hypnotizing Zumba rhythms begin playing and you see all of the happy faces around you. You will feel exhilarated and ready to take on the world by the time we play our last song, and counting the hours until you get to come back for more! 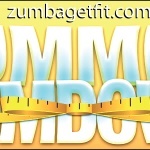 Purchase a discounted or single class online or pay during your visit to Zumba Get Fit. First time visitors only pay $6. First time clients will get Unlimited Zumba & Zumba Toning for just $55/month! You may lock down this discounted rate: print and fill out this form to sign up for monthly billing: Get Monthly Unlimited Classes for just $55/month! CLASS PRICING – BUY TODAY! Please click link and submit the Intake and Liability Form prior to coming to your first class. Also please bring a water bottle and a pair of sneakers to change into before hitting the dance floor. Now offering four weekly classes of Zumba Fitness, Zumba Fitness with Toning. Weekly Abs Express classes usually run on Sundays, before our 11AM Zumba class. Please contact me to sign up for this. Call me: 914.282.5090 if you have trouble finding us. Welcome! Zumba Fitness is a Latin-inspired dance fitness class. It combines Latin and International music and dance to create an exciting and effective fitness program. Fast and slow rhythms are combined to tone and sculpt the body and achieve a dynamic aerobic workout. I use a blend of fun, up beat music including newest pop, hip hop, r&b and alternative songs, to make sure everyone gets to move to their favorite tunes. The hour flies by as we dance and burn hundreds, and hundreds of calories without even realizing it! Zumba Toning is a muscular endurance plus cardiovascular class which can blast many more calories and challenge your body in new ways. We dance and tone to similar music that we use for our regular Zumba Fitness portions, just while utilizing Zumba Toning Sticks which are maraca like dumbbells filled with weight granules to enable fluid movements without risk of injury to joints. (Regular dumbbells are dead weight, which don’t allow for fluid movements as the toning sticks do.) We focus on all major muscle groups (arms back, legs, buns and abdominals) for an intensely challenging, yet Fun full body workout. You will definitely feel the burn! Abs Express A 20-min mat-class targeting abdominal muscles from all angles. I’ve created this program to suit the needs of most individuals who can comfortably get down on the mat. All movements done to fun music so the time flies by, but you will feel the burn and see results in a more trim and toned abdomen and waist when combining this program with a healthy diet and weekly cardio, such as our Zumba® classes.